If Chick Lit has godmothers, they would surely be Nora Roberts and Danielle Steel. Long time inhabitants of the best seller lists, their novels center around women and relationships. While their writing generally lacks humor, their female heroines and their efforts to find balance in love, work and family blazed the trail for today’s funny, young, enterprising women who populate the chick lit genre. 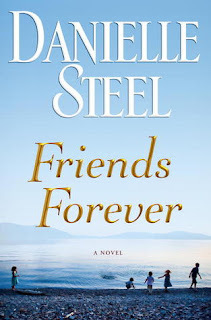 When I was given the chance to read and review “Friends Forever,” Danielle Steel’s latest best-selling offering (as of this writing, it’s been on the New York Times hardcover best seller list for the past six weeks), I jumped at it. Not only was I interested in the novel’s subject matter – five kids who remain best friends from the first day of kindergarten till the book ends – but I was anxious to see what made Steel so successful. To be honest, after reading the book, I am still wondering. “Friends Forever” follows Billy (the athlete), Gabby (the beauty queen), Izzy (the nurturer), Sean (the policeman), and Andy (the brain) from their first meeting in the kindergarten play kitchen till the novel’s end 18 years later. The book also features both parents of all children involved, along with a few siblings and various other characters who go in and out of the protagonists’ lives. The book itself is only 308 pages. Ten main characters, 18 years and 308 pages. The book, by necessity, is shallow, only skimming over the surface of the characters’ stories, telling not showing. The kids themselves never break free from the early labels that are bestowed upon them. We are never shown why they are friends, or how they manage to maintain the friendships, especially during the middle grades when male/female friendships usually die. As the years pass, there are joys, but these are mostly overshadowed by tragedies. Yet because we never get to know the protagonists as much more than their labels, these tragedies do not pack the emotional punch that they should. Steel’s writing style is simplistic; I don’t think she used a single semi-colon in the entire novel. This makes the book a very quick read, but it also accentuates its weaknesses. There is another book here, lurking underneath the shallow surface, and that is a book on how addiction, reckless behavior and laissez-faire parenting combine for tragic results. If she had wanted to, Steel could have really dug into the stories of those characters who became trapped in these destructive cycles. But with so many years and characters to cover, any in-depth treatment of a particular character or plot point is not possible. 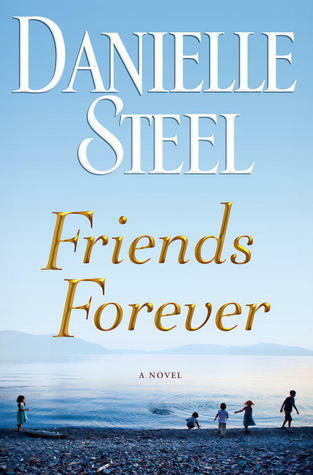 With a long string of bestsellers behind her, I hope that “Friends Forever” is a rare misstep from a well-known and beloved author. I read this book a couple of weeks ago and was highly disappointed. 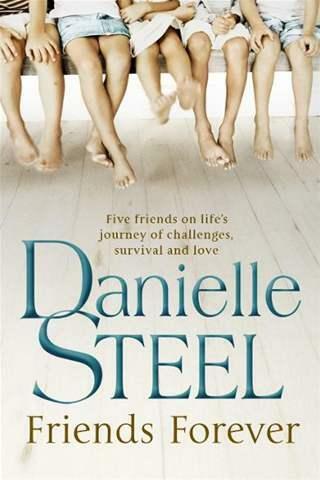 I love Danielle Steele, but I have not seen any decent reviews of this book.